Well it has happened. 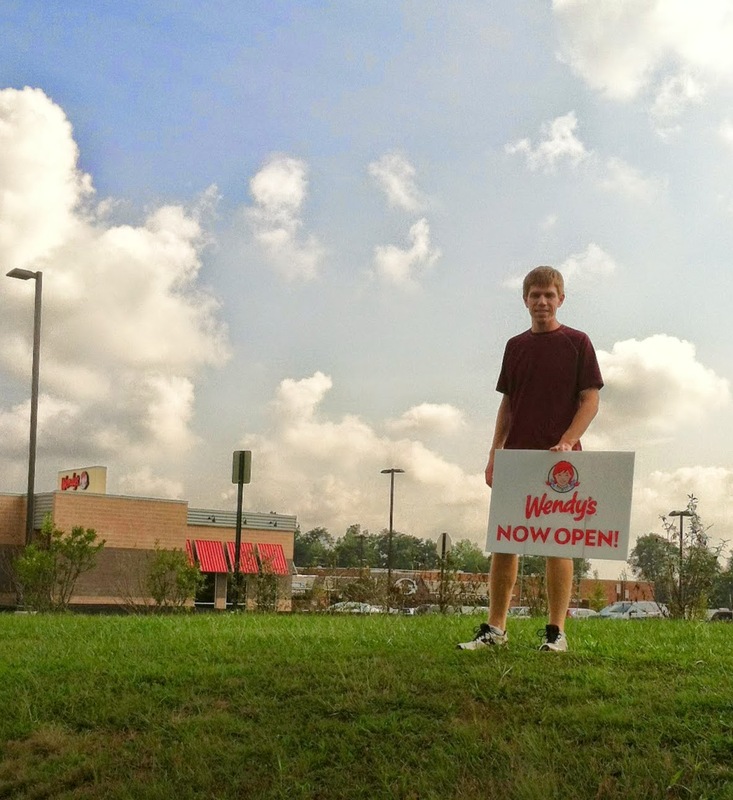 Last week was the grand opening of the Wendy’s that is only 0.5 miles from our house. Has Matt gone you might be asking? You bet. He was there on Friday when all of the Virginia corporate folks and Wendy were there handing out the free junior frosty key chains and other giveaways. He ran 15 miles and ended the run at Wendy’s to pick up his recovery fuel. There is nothing like a burger, fries, and a soda to replenish the body. :) He made one mistake though. Instead of eating at Wendy’s he brought it home. All three kids confiscated his fries. Thankfully I don’t share Matt’s weakness for Wendy’s, though I did put the free frosty key tag on my key chain. I mean as the driver, it makes sense, right? In actual running news, Matt has been running very strong lately. Two weeks ago he did 18 (instead of his scheduled 19) and this last week he did 15 miles. This Friday he’ll be going 19 miles. He is up into the 40s for his weekly mileage. Although it isn’t the 60 miles his schedule has him going, he has had some quality miles and he’s been (knock on wood) injury free. For as fit as Matt is, he is not flexible…at all. 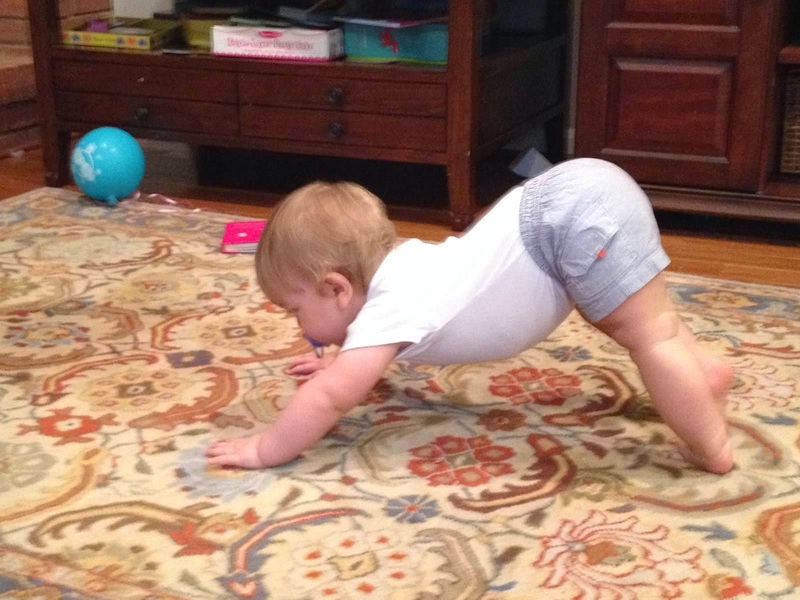 He can’t even touch his toes. He ran with one of his running buddies a few weeks ago and they were stretching afterwards and his friend couldn’t touch his toes either. Not to brag, but I had the record in the 6th grade for the sit and reach during the Presidential Fitness Test so I find it comical that Matt can run forever but not touch his toes. Before we had kids we would take a combo yoga-pilates class at the community center by our house together. We had a lovely teacher named Denise and she would frequently have to go help Matt with different poses. It really helped Matt with his flexibility. Matt has been trying to stretch before bed to help him in the hopes he can make it through his next two races injury free. That’s one downside of living farther out—we don’t have as much in walking distance. We’re hoping that his stretching and occasionally joining me for a yoga video will be enough to fend off injury. Fingers crossed!